Are you passionate about software ? Byclosure is a young and very dynamic company, which creates technical solutions for their business clients.  We specialize in management applications "click or touch" for the web through mobile, desktop and other devices. If you identify yourself with who we are and what we do, maybe you're the person we're looking for. We are looking to support the students from the master in Computer Engineering or similar, interested in investigating the areas of software automation testing or Rich Internet applications in HTML5 and multi-devices. We are looking to support the students from bachelor or master in Computer Engineering or similar, interested in intregating teams of developers on the areas of software automation testing or Rich Internet applications in HTML5 and multi-devices. We are looking for an Agile Software Developer to join our team. Driver license and available to travel. An energetic work environment, innovative and very exciting. Work with a team of young talents, highly motivated in a friendly environment. Contact with new technologies and an essential role on the construction of real solutions. Office 5 minutes by bus (747) from the Metro (Telheiras). Sharing the company's financial success with the compensation system. The possibility of getting a SCRUM certification. Access to communities and professional events. We answer to all applicants!